Put Diesel in your petrol car in High Wycombe? Put Petrol in your diesel car? Put the wrong fuel in you car in High Wycombe or the local towns nearby? Don't worry we have a Fuel Doctor right near you! We have dedicated fuel drain technicians covering High Wycombe and the surrounding towns, if you are in the Wycombe area and have put the wrong fuel in your car or bike, make sure you contact our national call centre straight away from a safe place by the roadside. 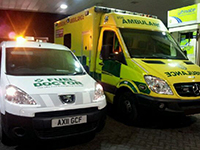 We aim to be with you within the hour and on your way within 15 to 30 minutes of us arriving. Its why we are known as the Fuel Emergency Service. 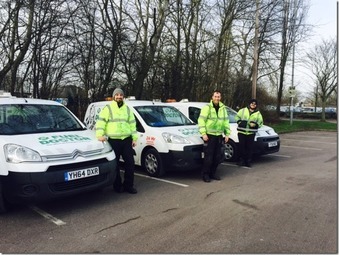 Our dedicated local wrong fuel recovery team based in High Wycombe area can be with you in no time and get you back on the road with the right fuel. There is a reason why we are the UK's number 1 fuel drain service. 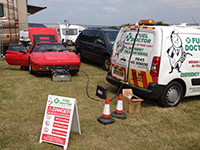 Fuel Doctor are a national company with technicians in Wycombe on standby. 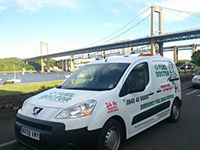 If you have put the wrong fuel in your car you can call us anytime of the day and you will have a dedicated local Fuel Doctor from the Wycombe area to get you back up and running. "Had to pull over last night as I'd put diesel in my petrol car, seriously embarrassed! I was on the A40 holding up traffic, luckily a passerby helped me push my car over to Suffield Road, by the Wycombe Abbey school as I was concerned starting the engine would cause damage. A quick google search and I found Fuel Doctor. They were super helpful and their local Fuel Doctor was with me within the hour to do an emergency fuel drain, I was back on my way in no time. Very satisfied, thanks Fuel Doctor!" "Picking up the kids after school can be really hectic so imagine my dismay when I'd realised in the midst of the 'school run chaos' I'd put petrol in diesel car! I was absolutely beside myself, I pulled over on Bellfield Road near the Wycombe Morrisons and looked on my phone and thankfully found Fuel Doctor on Google. I spoke to a really helpful lady and just as she'd assured me a Fuel Doctor was on the scene within an hour, he was even nice enough to let my kids sit in his van to keep warm. Brilliant service and cheaper than I thought." No matter where you are in the High Wycombe area, we have a Fuel Doctor near you. We will be with you within the hour and with you for around 15 minutes for the fuel drain. Don't panic, just call us. Everyday roughly 120 people will put the wrong fuel in their car in the Wycombe area, whether its diesel in petrol or petrol in diesel. It's a very common mistake and easily done, we understand that you need us there fast and to get back on your feet to get on with you life.